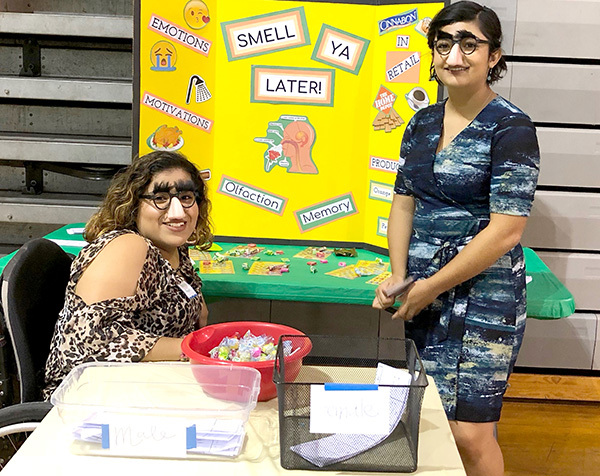 Students in Helix psychology classes recently put on a Psychology Fair, and students and staff members came in droves to participate in various experiments designed by the psychology students. Students participated in studies to determine what color cookies their peers prefer; discussed attraction and body type; and explored the effect smell has on taste, just to name a few. This is an annual event at Helix, and it is always well-attended. The Helix Speech and Debate Team recently competed in the California High School Speech Association State Championships. More than 150 high schools competed, and Helix took 11th place overall. 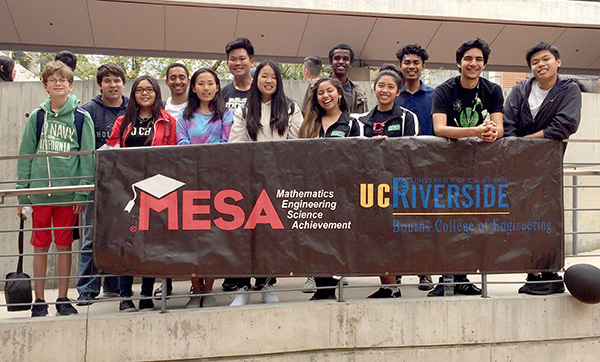 In addition, nine of the 22 Helix students competing advanced to semifinals and/or finals. The Helix Colorguard took first place in their division of the Winter Guard Association of Southern California Marching Band Open Series State Championships. Congratulations to these hard-working students. Helix’s Charter Board welcomes three new board members, and says goodbye to three outgoing members. Joining the board are PTSA representative Carolyn Lemler; classified staff representative Linda Brown; and community representative Ellen Nash. Helix thanks the three outgoing board members for their service. They include PTSA representative Lauren Gillihan; classified staff representative Peggy Crabtree; and community representative Elizabeth Berg. Community members are invited to participate as judges for upcoming Senior Boards. All Helix seniors must complete the Senior Project, which entails creating a product, coordinating an event, planning a performance, or providing an actual service that has been designed by them. The final phase of the Senior Project is Senior Boards, which provide an opportunity for our students to shine and to feel a sense of accomplishment as they demonstrate their knowledge and skills to their community. Senior Boards will take place on Tuesday, May 29, and Wednesday, May 30, noon–4 p.m. Community members are welcome to participate in either or both dates. Please contact me at josborn@helixcharter.net to confirm your participation. The Senior Project is just one example of Helix’s ongoing efforts to provide graduates with the tools necessary to succeed in their future endeavors, whether it is college, full-time employment, trade school, or the military. The Helix High School Foundation invites you to participate in the Highlander Open Golf Tournament. The tournament will take place at Carlton Oaks Golf Course on Friday, June 8. All funds raised will be used for college scholarships for graduating seniors. Contact Frank Theroux at theroux@helixcharter.net for details. If you are interested in finding out more about Helix Charter High School, please attend one of our Excellence in Education Tours, held twice monthly. The tours for May are May 3 at 5:30 p.m. and May 18 at 8:10 a.m (the final one of the school year). Reserve your spot using our website, helixcharter.net. — Jennifer Osborn writes on behalf of Helix Charter High School. For questions or input, reach her at josborn@helixcharter.net.